Sunaina completed her higher education in Computer Science at the Sri Aurobindo International Centre of Education (SAICE) in Pondicherry. Later, in the mid 1970’s, she was part of a team that set up the mini-computer for SAICE. At that time, there were only 100 computers in India, and one of them there in the SAICE’s Computer Centre. In 1980, Sunaina co-founded one of India’s earliest computer companies: Aurelec Data Processing Systems (Aurelec). Set up on the outskirts of Auroville, Aurelec was a pioneer in the Indian Computer Industry bringing state-of-the-art products and introducing Local Area Networking to India. Aurelec soon became known for its innovative products and its high level after-sales service among its varied customer base throughout the country, including most of the top Indian computer manufacturers. 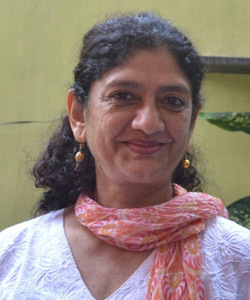 Beginning in the late 1990′s Sunaina directed Nexus Computers, a computer manufacturer specializing in networking, selling products, and services to end users out of its 30 plus offices throughout India. She ran the manufacturing unit based in Pondicherry and directed the customer support operation with a team of highly qualified and much sought after engineers. For years together the company was recognized as being among the top 10 companies in the country for its quality of support. Sunaina was also co-founder of two technology companies with multinational operations which brought innovative and leading-edge products, designed inIndia, manufactured in the Far East, and sold world wide. In 2007, she co-founded PondyCAN. Probir has been a Pondicherian since just a few months after his birth, when his Bengali parents settled in Pondicherry. He studied Civil Engineering at the Sri Aurobindo International Centre of Education in Pondicherry, and then pursued a career in this field for several years. He designed and built homes, schools, public buildings and apartment complexes. During this time he was also engaged promoting art, culture, and health through art workshops, inviting artists from all over India, organizing children’s art camps, and International art camps. He started Pondicherry’s first Wellness Centre for Yoga Asanas, Pranayama, Meditation, Aerobics, and Bodybuilding, running it for ten years. 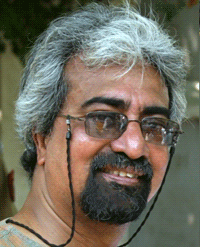 In 2001 Probir co-founded Shuddham, a non-profit, non-government organization with the mission of fostering a “Beautiful India collaboration to make our surroundings clean”, forming partnership between the government and civil society to recycle urban waste — a fast growing contributant to environmental degradation, natural resources depletion, all with dramatic public health impact.. Shuddham was Pondicherry’s first initiative that involved a whole neighbourhood, where residents were trained to segregate garbage which was then collected and processed by Shuddham. Organic waste was converted to vermicompost, and papers and plastics were recycled through local recycling channels — themselves a whole cottage industry in most Indian towns. Suddham also ran programs to train school children in waste management. This work was stopped when the Puducherry Government engaged a single agency to take care of the waste management of the whole town making the management of waste a struggle like in the rest of the country and unlike what Shuddham was able to achieve in their neighbourhood. A Rotarian and a Freemason, Probir co-founded PondyCAN in 2007 and has been its President from inception. In 2009, he was awarded an “Excellence in Social Service” award by Pondicherry’s Luitenant Governor. 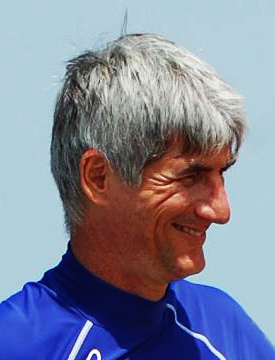 Aurofilio — known to all as Filio — was born and brought up in Pondicherry of Italian parentage. In love with the sea since childhood, he completed his education at the Sri Aurobindo International Centre of Education. An avid swimmer, diver, surfer, and wind-surfer, he decided to combine this love for the sea with his higher education and received a masters in Tropical Coastal management at Newcastle University. But not being able to stay away too long, he returned to to Pondicherry and continues to live here with his family. Filio has worked in the field of waste water treatment, and has been engaging with the Puducherry Government for the restoration of the Pondicherry coast since to his dismay he began witnessing Pondicherry’s beautiful beach disappear, with large rocks dumped into its place. In 2007 he co-founded PondyCAN.